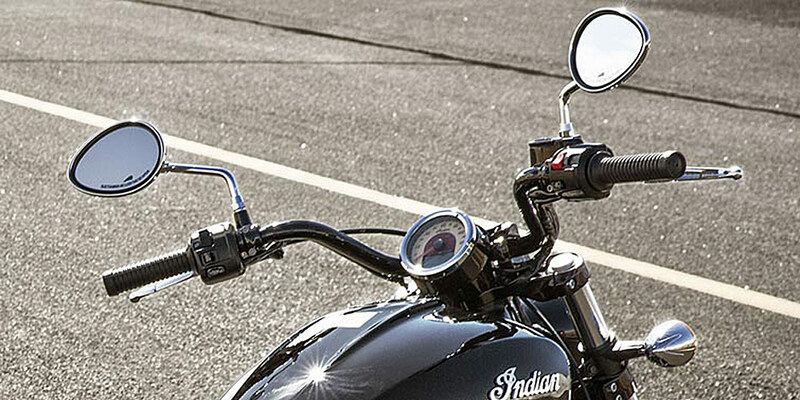 With its lightweight chassis, the Indian Scout Sixty delivers sporty, responsive handling. The engine is solid-mounted in the frame to provide strength & to ensure smooth, predictable handling at all speeds. Scout Sixty features a lightweight design and low seat height of 25.3” enabling impressive low speed handling and manoeuvrability. The Scout Sixty delivers a confidence-inspiring lean angle for new and experienced riders. This combined with the Scout’s low centre of gravity provide exceptional high and low speed manoeuvrability. The Scout Sixty's liquid cooled V-Twin was designed for a confidence-inspiring ride ensuring you will harness all 78 of its horsepower into every curve and straightaway. Modern technology that ensures a consistently outstanding ride experience includes: Efficient & reliable electronic fuel injection; engine counter-balancing for smooth operation; a 5-speed transmission; & efficient, reliable liquid cooling. Combine the current Scout Sixty design with Authentic Indian Motorcycle accessories and it can accommodate just about any rider from 5’0” – 6’4”. This cast aluminium frame has been designed to cradle the engine in a way that minimizes vibration. The Scout Sixty features the rigid triangle design that was so popular on the original 1920’s Scout. fenders inspired by the look and feel of the original Scout. On Scout Sixty, quality and style come standard. Blacked-out, durable cast aluminium wheels complete its bold, new look. Scout Sixty features a lightweight design and low seat height of 25.3” enabling impressive low speed handling and manoeuvrability . Blacked-out handlebars match both the frame and engine to complete Scout Sixty's custom look. The Scout Sixty features fleet-sided fenders inspired by the look and feel of the original Scout.